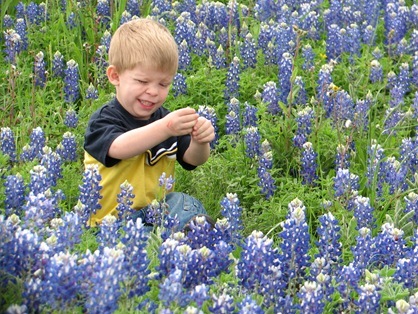 Good rains and plenty of sunshine made this an extra good year for bluebonnet pictures. We were supposed to take a extended family shot in the flowers but the day of the shoot, baby Eden decided that she wanted her face in the picture too – even if it wasn’t with everyone else. 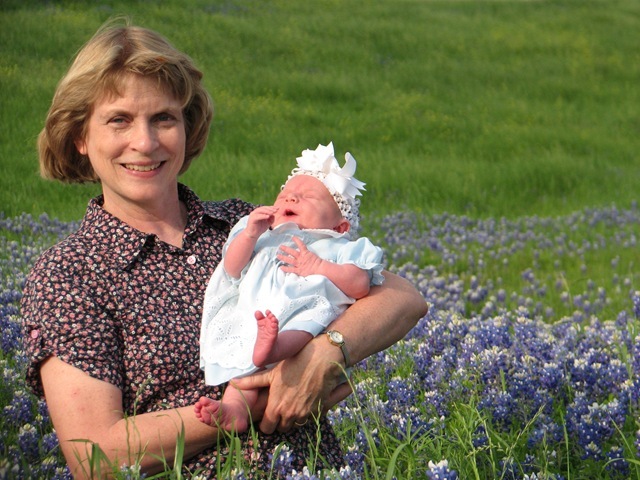 The day Eden arrived, my Mom had her picture taken in the bluebonnets with all the other grandkids. 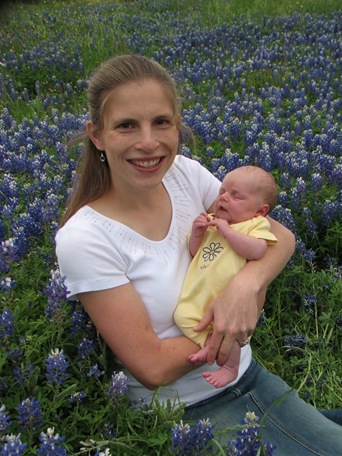 When she came to visit the newest one we had to update her portfolio. I love this shot of my Mom because she looks so young and full of life. 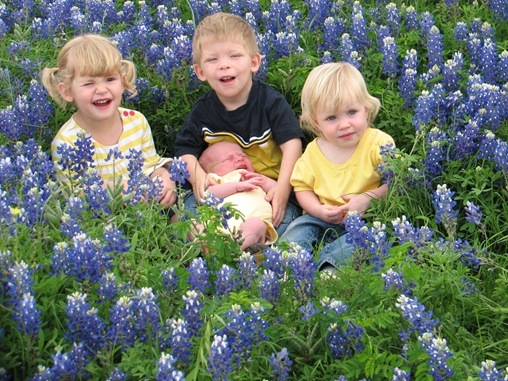 Of course, I wanted one of all four siblings in the bluebonnets. 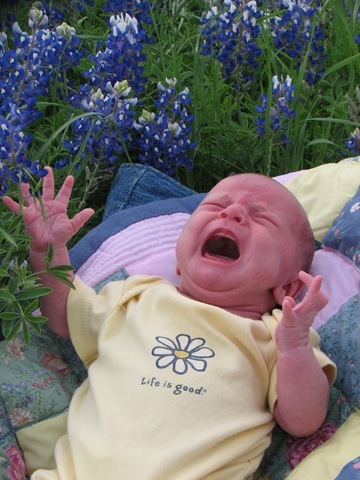 My sister sent a yellow onesie for the baby, which allowed for a fun, bright coordinating color. 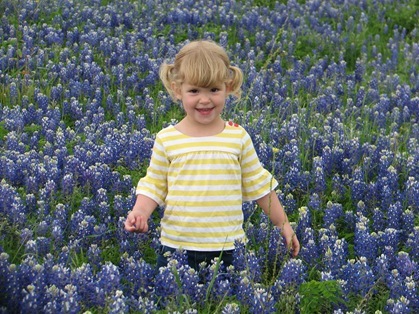 Thus attired, we set out to capture some cuteness. This is much easier planned than actually accomplished. However, with the help of a friend, we managed at least one decent group shot! Lance – I think he was “killing” the flowers. Ivy – paused in the middle of her frolic in the flowers, always ready with a cute smile! 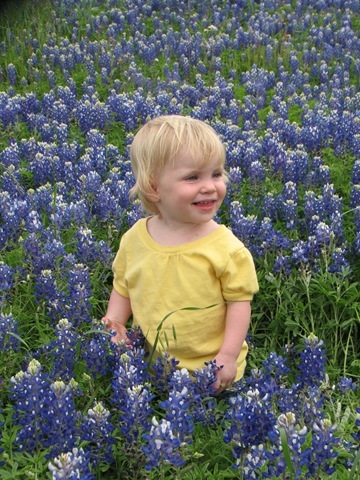 Flora – my freckled, blonde, blue-eyed girl, not much taller than the flowers! 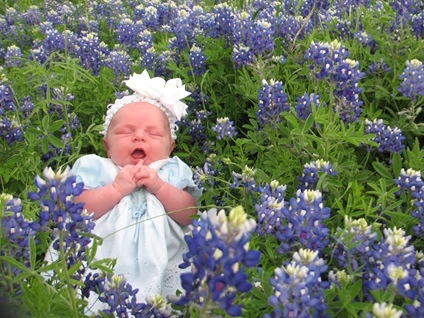 Eden – who had had quite enough of the photo shoot, thank you! Where were the pictures taken? Near your mom?